NAHB Chief Economist Robert Dietz said that builder confidence remains high despite ongoing shortages of buildable lots and skilled labor. Meanwhile, NAHB reported lower readings for its regional 3-month rolling average of home builder confidence. The Northeast region was two points lower at 46; Builder confidence in the Midwest was one point lower at 67 and the Southern region was also one point lower with a 3-month reading of 70. 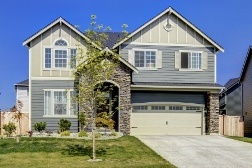 The West had the highest builder confidence with a three-month average reading of 70. Mortgage and consumer credit interest rates are likely to move higher after the Federal Reserve’s decision to raise its target federal funds rate by 0.25 percent on Wednesday. This was the third uptick for the Fed rate this year. As interest rates and other consumer costs increase, would-be buyers of new homes may be sidelined. Future builder confidence readings could be influenced by a variety of economic factors including employment, interest rates and consumer confidence. While housing starts are expected to increase to approximately 1.23 million on a seasonally-adjusted annual basis, they are significantly lower than the near 2-million housing starts reported prior to when the housing bubble burst. Analysts noted that the overall economic recovery remains steady with some glitches expected along the way. Closing the gap between builder confidence and housing starts is seen as the solution for easing high demand for homes and unusually low inventories of homes on the market. September’s 20-City Housing Market Index from Case-Shiller showed signs that rapidly rising home prices in some metro areas may be losing momentum. San Francisco, California, posted a month-to-month reading of -0.40 percent and a year-over-year reading of 5.70 percent. Home prices stayed flat in Seattle Washington from August to September, but posted the highest home price gain of 11.00 percent year-over-year. Slowing home price growth in high-demand areas suggest that affordability concerns are impacting rapid gains in home prices seen in recent years. Case-Shiller’s National Home Price Index achieved its highest gain with a reading of 5.50 percent as compared to August’s reading of 5.10 percent. In addition to Seattle’s year-over-year home price growth rate of 11 percent, Portland, Oregon closely followed with a year-over-year reading of 10.90 percent. Denver, Colorado rounded out the top three cities in the 20-City Home Price Index with a year-over-year growth rate of 8.70 percent. September was the eighth consecutive month that the top three cities held their places in the 20-City Index. Case-Shiller’s 20-City Home Price Index posted a year-over- year gain of 5.10 percent. According to David M. Blitzer, Chairman of S&P Dow Jones Index Committee, September’s record national reading for home prices marks a transition from housing recovery to “the hoped for start of a new advance.” Mr. Blitzer cited recent data on sales of new and pre-owned homes and said that housing starts reached a post-recession peak. September’s peak in national home prices was 0.10 percent above the pre-recession peak set in 2006. Adjusted for inflation, the September peak remains approximately 16 percent below the pre-recession peak. During the recession, national home prices reached a trough that was 27 percent lower than Case-Shiller’s September reading. Analysts expressed some caution and noted headwinds to housing markets including slower-than-normal rates of homes construction, higher mortgage rates and strict mortgage approval requirements. Home Builder Sentiment slipped to a reading of 57 in December according to the National Association of Home Builders Housing Market Index. November’s reading of 58 prompted analysts to project a reading of 59 for December. The latest reading marks the sixth consecutive month for readings above 50. Any reading over 50 indicates that more builders are positive about housing market conditions than not. The one-point decline in December’s reading kept the NAHB Housing Market Index within two points of a nine-year high reached in September. 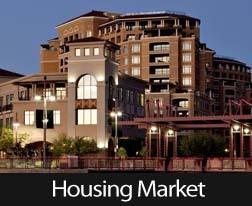 NAHB’s chief economist, David Crowe, said that December’s reading was in line with NAHB’s assessment that housing markets are on a “slow march back to normal.” Home builder confidence in conditions contributing to the NAHB Housing Market Index also fell in two categories while remaining unchanged in one. The gauge of builder confidence in current market conditions moved from last month’s reading of 62 to 61. Builder confidence in upcoming home sales fell from 65 to 64, while confidence in prospective buyer traffic was unchanged at a reading of 45. These results are consistent with real estate market trends slowing during the holiday season and winter months. Analysts said that steady builder confidence may be a result of builders surviving a tough year in 2015. Market conditions, unpredictable interest rates and higher costs of supplies along with high unemployment subdued builder confidence during 2014. The New Year brings prospects of easing mortgage standards and better labor markets, which are expected to boost builder confidence as more home buyers enter the market for new homes. The Commerce Department is set to release Housing Starts for November on December 16; analysts expect an increase to 1.035 million starts on a seasonally adjusted annual basis as compared to October’s reading of 1.01 million starts. A positive reading for housing starts could further bolster home builder confidence for future readings. U.S. Homebuilder confidence in housing market conditions slipped by 5 points to October’s reading of 54 as compared to September’s reading; this was also lower than the expected reading of 59. Builders are concerned over strict mortgage credit rules, but the NAHB’s chief economist noted that pent-up demand, lower mortgage rates and improved labor markets are expected to drive builder confidence in the near term. Readings of 50 and above indicate that more builders are confident about market conditions than not. Freddie Mac reported lower average mortgage rates across the board with the rate for a 30-year fixed rate mortgage at 3.97 percent, a drop of 15 basis points from the prior reading. 15-year fixed rate mortgages had an average rate of 3.18 percent from the prior week’s reading of 3.30 percent. 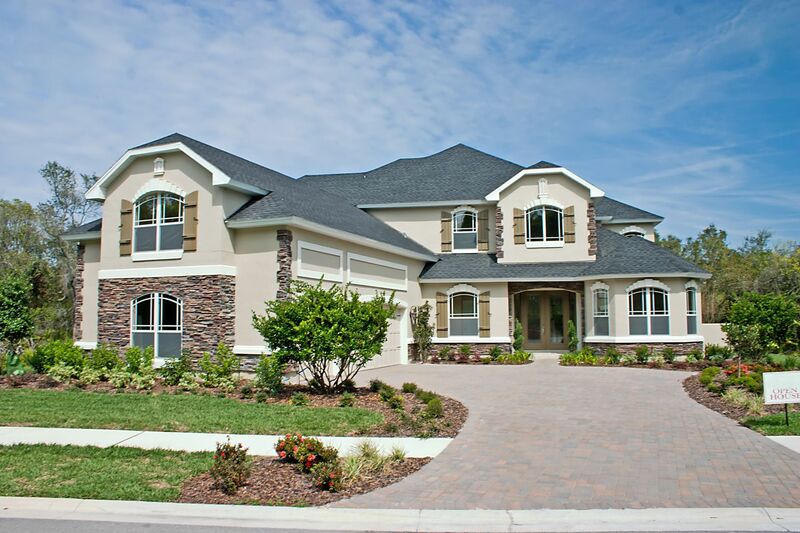 The average rate for a 5/1 adjustable rate mortgage fell by 13 basis points to 2.92 percent. Average discount points remained at 0.50 for all mortgage types. 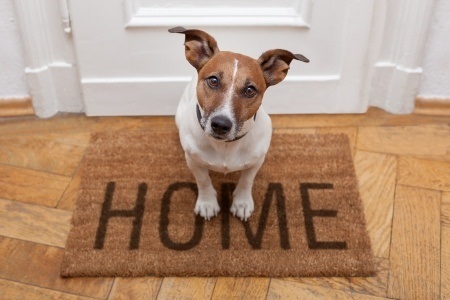 If 30-year fixed rate mortgages can stay below the four percent mark, this could mean additional incentive for fence-sitters to become active home buyers. Concerns over job markets and employment stability have consistently been of concern to home buyers in the aftermath of the recession. Last week’s jobless claims report brought encouraging news as it came in at 264,000 new jobless claims filed against predictions of 289,000 new claims and the prior week’s reading of 287,000 new jobless claims filed. This was the lowest number of new jobless claims filed in more than 14 years. Analysts said that lower numbers of weekly jobless claims indicate fewer layoffs, which should help boost prospective home buyers’ confidence in job stability. The Federal Reserve released its Beige Book report on Wednesday. This report contains anecdotes from business sources within the 12 Federal Reserve districts. 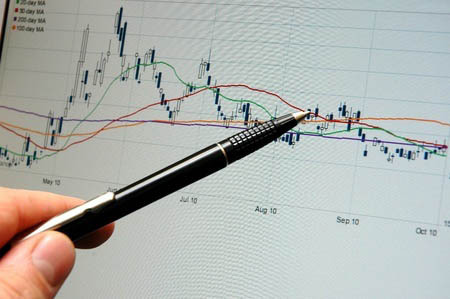 The report said that the economy continues to grow at a modest to moderate pace and noted that potential concerns over the stronger U.S. dollar causing increases in export costs did not concern the Fed’s business sources. September’s housing starts were above both expectations and August’s reading. 1.02 million starts were reported with the majority being multi-family homes. The expected reading was 1.015 million housing starts; this was based on August’s reading of 956,000 starts. This news is consistent with the drop in builder confidence for sales of new single-family homes. The University of Michigan/Thompson-Reuters Consumer Sentiment Index for October rose to 86.4 against an expected reading of 83.5 and September’s reading of 84.6. This was the highest consumer sentiment reading in seven years. Analysts rained on the consumer sentiment parade by noting that recent jitters over Wall Street and concerns about Ebola outbreaks could cause the Consumer Sentiment Index to lose ground. 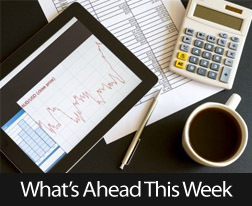 Next week’s scheduled economic reports include the National Association of REALTORS® Existing Home Sales report, FHFA’s Home Price Index and New Home Sales. Leading Economic Indicators will also be released. The Federal Reserve’s Federal Open Market Committee (FOMC) released its customary statement at the conclusion of its meeting on Wednesday. FOMC members oversee the Fed’s monetary policy. In recent months, investors and economists have speculated on whether or not the Fed would continue tapering its asset purchases under its latest quantitative easing (QE) program, and whether the Fed would raise its target federal funds rate of 0.00 to 0.250 percent. According to its statement, FOMC members plan to continue tapering monthly asset purchases of Treasury securities and mortgage-backed securities until asset purchases under the QE program conclude in October. FOMC statements have repeatedly indicated that members do not foresee raising the target federal funds rate for a “considerable period” after the QE asset purchases cease. Wednesday’s FOMC statement reasserted this position, and said that the committee may keep the current target federal funds rate at its current level for “some time” after employment levels and inflation reach normal levels. The committee’s comments about asset purchases and the target federal funds rate included the usual reminder that asset purchases and determination of the target federal funds rate are not on a predetermined course and are subject to adjustment should economic conditions merit changes in FOMC monetary policy. In spite of encouraging labor market reports, FOMC members remain concerned about overall labor market conditions, and are not relying on the national unemployment rate alone as an accurate measure of labor market health. While Wednesday’s FOMC statement reflected signs of an ongoing economic recovery, it’s evident that FOMC members plant to keep a close eye on factors that impact their expectations for the economy.